Rapid Prototyping (RP) can be defined as a group of techniques used to quickly fabricate a physical model of a part or assembly using three-dimensional computer aided design (CAD) data. What is commonly considered to be the first RP technique, SLA (Stereolithography), was developed by 3D Systems of Valencia, CA, USA, founded in 1986, and since then, a number of other RP techniques have become available. 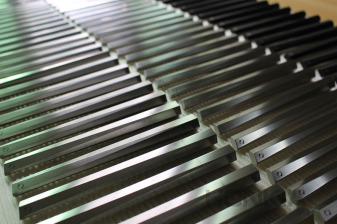 At Honkia, our RP techniques include: SLA/SLS, CNC Machining, Vacuum Casting, Sheet Metal Fabrication, Reaction Injection Molding. 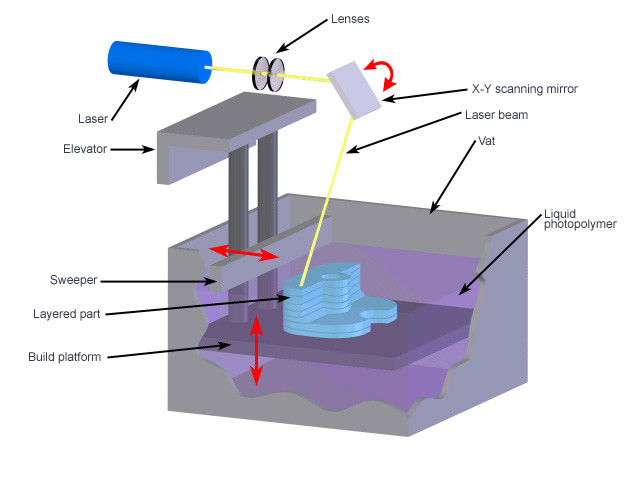 SLA (stereolithography) is an additive manufacturing process which employs the liquid photosensitive polymer "resin" and laser light to build the part layer by layer. For each layer, the laser beam scans a cross-section of the part pattern on the surface of the liquid resin, exposed resin to laser beam cures and meanwhile joins to the layer below. Once one layer finished, the elevator platform descends by a distance equal to thickness of a single layer, typically 0.1 mm. Then, a resin-filled blade sweeps across the cured cross-section of the part and recoat it by a new layer of fresh material to be scanned till finishing the part. 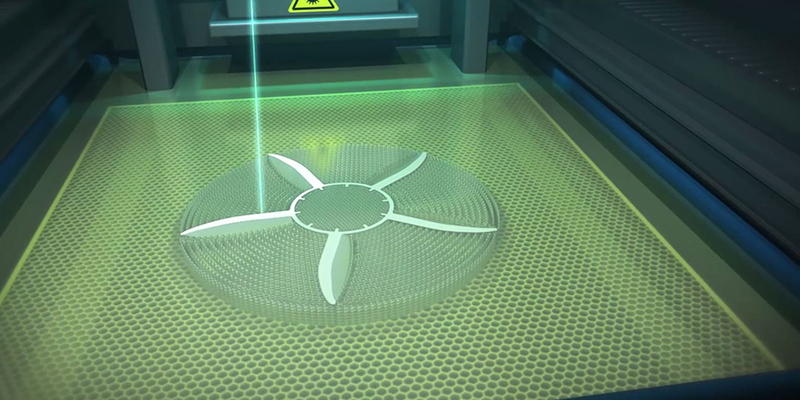 SLS (Selective Laser Sintering) is one other additive manufacturing technique that it is similar to SLA, which uses a laser light as the power source to sinter the powdered material in plastic or metal. 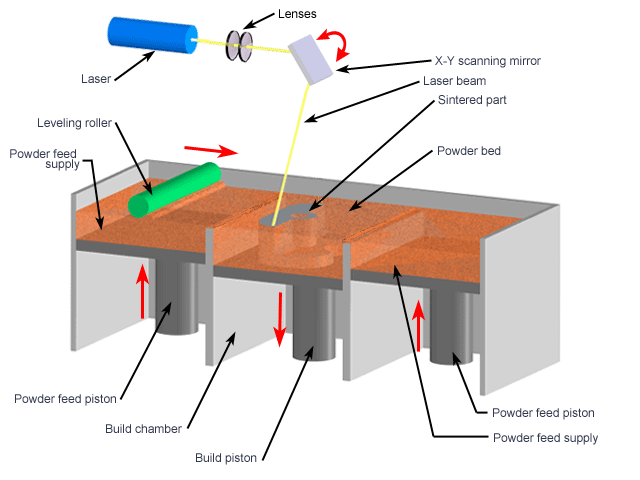 The laser beam selectively fuses the powdered material by scanning cross-sections generated from a 3D digital description of the part on the surface of the powder bed. 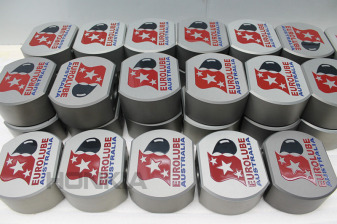 After one cross-section is scanned and sintered, the powder bed is lowered by one layer thickness, also typically 0.1 mm, then a new layer of powder material is applied on the top surface to repeat this process.